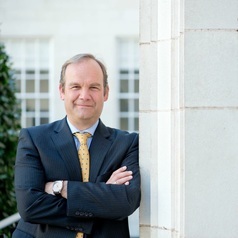 Dr Todd Landman is a Professor of Political Science and Pro Vice Chancellor of the Social Sciences at the University of Nottingham in the United Kingdom. He researches, teaches, and publishes on significant problems and methods associated with development, democracy and human rights. He received a BA in Political Science from the University of Pennsylvania in 1988, an MA in Latin American Studies from Georgetown University in 1990, an MA in Political Science from the University of Colorado in 1993, and a PhD in Government from the University of Essex in the UK in 2000. While at Essex, he was the Deputy Director (1999-2003) and Co-Director (2003-2005) of the Human Rights Centre, Director of the Centre for Democratic Governance (2006-2010), Director of the Institute for Democracy and Conflict Resolution (2010-2013), and Executive Dean of the Faculty of Social Sciences (2013-2015). He has taught on a variety of training and capacity building activities in Brazil, China, Finland, Germany, Italy, Macedonia, Mozambique, Netherlands, Norway, Portugal, Sweden, Uganda and the United States. His work is theory-driven empirical analysis on key topics informed by a normative concern for peace, justice, democracy, and rights. His publications include research monographs, textbooks, peer-reviewed journal articles, review articles, book reviews, working papers, conference papers, reports and ‘knowledge products’ for the wider policy community. His most popular book is Issues and Methods in Comparative Politics, which has sold over 15,000 copies and is forthcoming in its 4th Edition. He has published with Oxford University Press, Cambridge University Press, Georgetown University Press, University of California Press, Routledge, Sage, Polity, Bloomsbury, and Roman and Littlefield. He has articles in International Studies Quarterly, The British Journal of Political Science, Human Rights Quarterly, Democratization, Political Studies, The Journal of Human Rights, The British Journal of Politics and International Relations, Electoral Studies, Human Rights and Human Welfare, Public Law, The California Western International Law Journal, and The British Journal of Sociology. His current work is on the quantitative analysis of human rights and his latest book is Democracy and Human Rights: The Precarious Triumph of Ideals published by Bloomsbury. He is an active member of the American Political Science Association (APSA), has served as Treasurer, Vice President and President of the Human Rights Section, and is served on the committee for the Gabriel Almond Award for the Best Dissertation in Comparative Politics. He is on the editorial board of The British Journal of Political Science, Political Research Quarterly, Human Rights and Human Welfare and The Nordic Journal of Human Rights.